Kids will love this pocket size, printable mini book that teaches them all about the six simple machines. This is a great study for homeschool science. 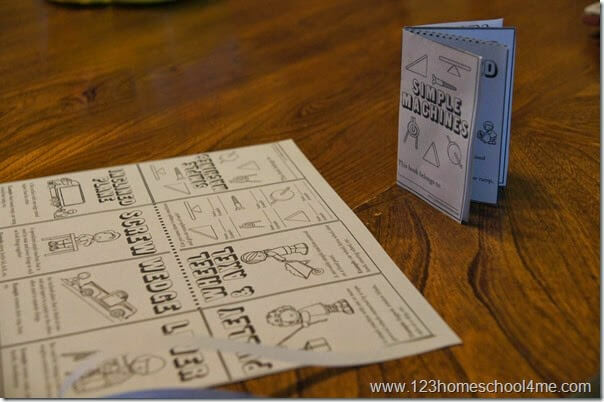 If you are looking for a fun, simple way to introduce kids to simple machines this printable mini book is perfect! This free printable, black and white book is geared at kids in Kindergarten – 5th grade. It can be used along with hands on simple machine unit, as a pocket guide, with a simple machines scavenger hunt, or as a science reader for kids. 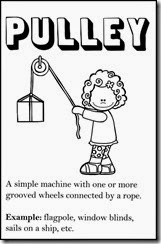 This simple to make mini book with help introduce or reinforce the six simple machines. This is a great science lesson for kids from K-5th grade. To make each book all you need is to print one page in black and white. Kids can color in the simple machines throughout the book if they like. It is then cleverly folded to make a pocket size mini book. See how to make this simple mini book. 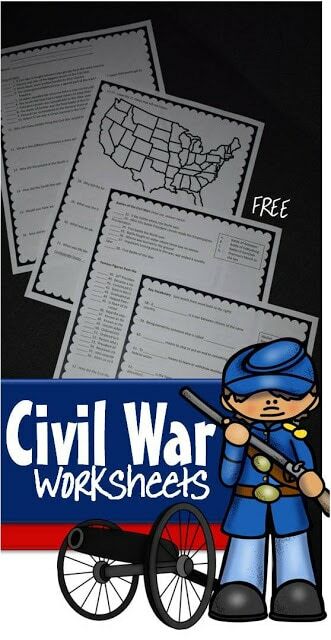 Thank you for this free resource! My kids are gonna love this cute pocket book. I teach at a small (11 students) non profit nature school (K-4 currently) where money is tight or non existent. I’m just starting a unit on simple machines and this is PERFECT! !